ALIAGA, Turkey — Andrew Brunson, the American pastor arrested in 2016 after being accused of espionage and having connections to those involved in a failed coup attempt against the Turkish government, is now free to leave the country after a judge sentenced him to time served. As previously reported, Brunson and his wife, Norine, who are from Black Mountain, North Carolina, were detained in October 2016 after being accused of having “membership in an armed terrorist organization,” specifically, the military coup that attempted to overthrow the Turkish government that year. Brunson has pastored Resurrection Church in Izmir for over 20 years. According to World Watch Monitor, Turkish authorities detained and/or jailed thousands in their efforts to find those behind the operation. While Brunson’s wife was released 12 days after being taken into custody, in December, Brunson was escorted into court, being told that a “secret informant” had accused him of involvement in terrorism. In September 2017, Brunson was informed via a video conference with a Turkish judge that additional charges had been filed, including espionage, acquiring secret political and military information, seeking to overthrow the Turkish parliament and attempting to change the constitutional order. Brunson said that he was innocent and asked that proof be provided. He stated that he has been in Turkey for more than two decades to simply tell the people about Jesus and has nothing to hide. In April, the ACLJ reported that an official indictment handed down against Brunson claimed that the pastor used “Christianization” as a “mask” to engage in “unconventional warfare” against the government. In July, Brunson was placed under house arrest until his trial, scheduled for Oct. 12. Prosecutors initially sought a sentence of 35 years in prison. “I am an innocent man. I love Jesus. I love Turkey,” Brunson told the court in Aliaga on Friday, expressing bewilderment at the charges that were being brought against him. He particularly noted that one witness who was questioned was speaking of events that were unrelated to the pastor. According to reports, some witnesses also told the court that their testimony had been misconstrued, and one witness said that she did not even know Brunson. While Bruson was ultimately convicted of aiding terrorism, the judge, whose name has not been released, sentenced Bruson to three years in prison, but reduced the sentence to time served due to good behavior. He is now free to leave the country. 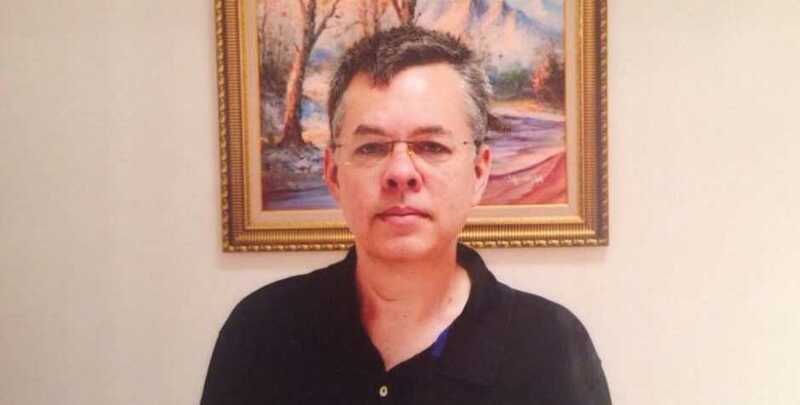 “Pastor Brunson just released! Will be home soon!” President Trump tweeted Friday morning. Both Trump and Vice President Pence had called for Brunson’s release, as did U.S. Secretary of State Mike Pompeo. In February 2017, nearly 80 members of U.S. Congress signed a letter to Turkish President Recep Erdoğan expressing doubt over the charges filed against the pastor. Brunson’s daughter also spoke before the U.N. Human Rights Council in Geneva earlier this year to plead for help for her father.